← Gwenda Bond. Blackwood. Long Island City, NY: Strange Chemistry, 2012. Transitioning a work from page to screen is a complex process full of decisions from small details to large abstractions about what to include, what not to include, and what to add. In some of the past posts, there were instances of authors involved in both sides of the process, novel to screenplay. But in many cases, the author of the original work isn’t overseeing the adaptation. 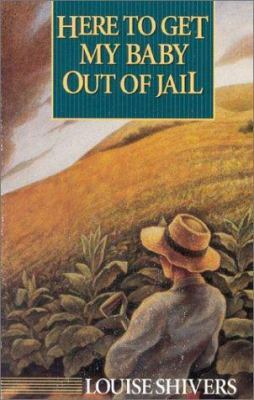 Sometimes, like in the instance of Here to Get My Baby Out of Jail and Summer Heat, the story doesn’t translate well between the mediums. 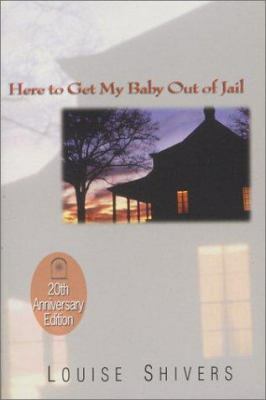 Here to Get My Baby Out of Jail was Louise Shivers’s first novel. Her bio on her publisher’s site notes that Shivers was born in Stantonsburg, but grew up in Wilson. The towns bear a close resemblance to Tarborough, the fictional East Carolina town featured in Shivers’s novel. After a year at Meredith College in Raleigh, Shivers was married. She and her husband relocated to Augusta, Georgia, where they raised their three children. Shivers was a literary world late-bloomer. At age 40, at the encouragement of her children, she took a creative writing class that eventually produced her first novel. Following its release in 1983, Shivers’s work was selected by USA Today as the “Best First Novel of the Year.” A review in The New York Times praises Shivers’s work. The story is simple and compact; Shivers wrote poetry before she ventured to writing novels. Here to Get My Baby Out of Jail is the tale of a love triangle spun out of control. Roxy Walston is a Depression-era woman stuck on a tobacco farm with her husband Aaron. She’s a young mother, 20 with a 2-year-old daughter, Baby. When Aaron hires a drifter named Jack Ruffin, it leads to an affair that will change all their lives drastically. The film adaptation was released in 1987, just four years after the novel’s publication. Mitchie Gleason wrote the screenplay and directed the movie. Lori Singer played Roxy. Singer at the time had already starred opposite Kevin Bacon in Footloose. Anthony Edwards, of Revenge of the Nerds, Top Gun, and later ER fame, played Roxy’s husband, Aaron, and Bruce Abbott played Jack Ruffin. Kathy Bates appears in a supporting role, but doesn’t appear in the trailer, which focuses on the three leads. The movie was filmed in North Carolina around Nashville, Robersonville, Tarboro, and Wilson. Reviews from The New York Times and The Los Angeles Times by Janet Maslin and Shelia Benson recognize good qualities in Summer Heat, the big picture adaptation of the slim novel, Here to Get My Baby Out of Jail. Performances by the actors are commended and Mitchie Gleason’s visuals are appreciated. But the critics complain that Gleason’s script is the weak link in the final product. Maslin observes that “the script is a string of one-idea scenes; sometimes a whole episode seems designed to allow a character to deliver a single line,” and notes that the film’s pacing is off. Benson also notes that despite the fact Gleason’s script adheres closely — even “slavishly,” she suggests – the force behind the story isn’t there. Sticking straight to the story in this case did not benefit Summer Heat. Benson remarks that the adaptation “lollygags” to its final conclusion rather than showing a “fevered rise and fall” of a pair of doomed lovers tangled in a frenzy of passion. Benson chides Gleason, whom didn’t take enough risks in re-telling Shivers’s story. The most obvious liberty taken during the adaptation process is the title, which was revised from the longer, song-inspired Here to Get My Baby Out of Jail to the more benign and blockbuster-friendly, Summer Heat. The trailer brandishes the steamy side of the story. The title is emphasized, the words are shown individually between scenes of passion and aggression, and then together. Here’s a link to one version of the movie poster. The visuals, particularly the positioning of Roxy and Jack, are sultry and provocative. However, the writing on the poster skims over the top of the purpose behind the story. Plus, it basically gives away the twist. They’re quite different from the novel’s covers from 1993 and its 2003 pictured in this post in their raw sensuality. Then again, film operates, and profits on, on a more visual level. Read the original blog post on Here to Get My Baby Out of Jail. The novel is available through the UNC-Chapel Hill Library catalog, but the film is not. The film does not appear to be available through the Chapel Hill or Durham County Public Libraries. The film is listed on Amazon for sale. Do you know of any literary analysis on what Shivers intended by including the Kodak camera scene in the book? As best I can tell, the works of Louise Shivers have not received much scholarly attention. The two standard sources for this type of research—The MLA (Modern Language Association) International Bibliography and ProQuest Dissertations and Theses Full Text—yield just a few citations. None of them made mention of the scene that you’ve asked about.